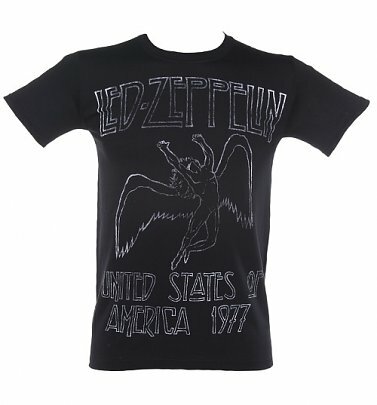 We've got a whole lotta love for our awesome Led Zeppelin T-Shirts (and we hope you will too!) The iconic band exploded onto the British music scene in the '70s with their unique fusion of blues, psychedelia, rock, folk and heavy metal and quickly earned a reputation for excess and debauchery on their record-breaking world tours. 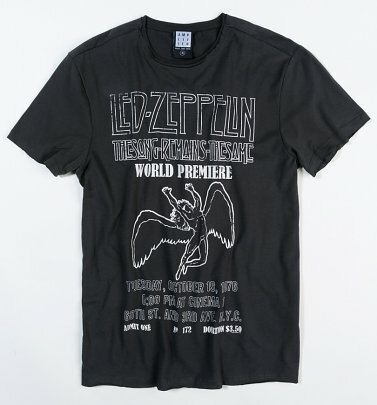 With Robert Plant's swaggering vocals, Jimmy Page's triumphant riffs (for some of us TruffleShufflers, the mega riff of Whole Lotta Love will always take us back to watching Top of the Pops!) John Paul Jones' slick bass and innovative keyboard compositions and John Bonham's genius drumming, it's no wonder they're remembered as one of the biggest bands in rock history! 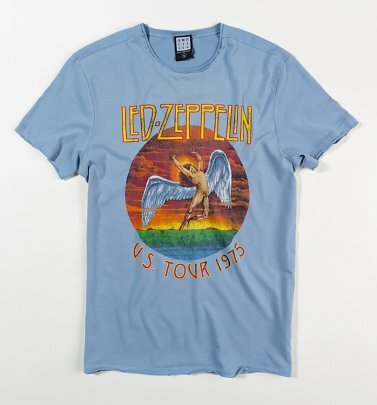 Channel their cool in true vintage style with our Amplified Led Zeppelin Mothership T-Shirts, featuring the famous blimp or our Led Zeppelin tour t-shirts, which are amazing replicas of the t-shirt that was actually sold at their gigs in the band's world famous USA tour in 1977.